The words above are taken from an “ode to Adams House” that Seamus Heaney penned to as part of the celebrations of the 50th anniversary of its founding in Harvard (Kiely, 2013). It speaks of the differences between our youth and our experiences during university. Heaney is clear in the belief that playing was a separate entity from higher education, it is relegated to our childhood memories. He ends the poem by giving permission to the students to play: “To-day’s the day For intellectuals to play.”. Where in history did this dichotomy occur? The journey begins with John Dewey who, as far back as 1916, included a chapter on play in Democracy and Education. In his book he considers the two apparent opposites of seriousness and play and how they relate to learning and teaching. He proposes that instead of keeping play out of the formal curriculum it should be integrated into the activities. He asserts that “the grounds for assigning to play and active work a definite place in the curriculum are intellectual and social, not matters of temporary expediency and momentary agreeableness.” (Dewey, 1916). “Dewey argues that the role of the teacher is to inculcate the artistic ideal of harmonising the two and the success of the teacher is measured by his or her ability to achieve this. I do not know how this would be measured or assessed other than by experiencing the atmosphere in a classroom and bringing one’s own judgments to bear on what is taking place, the spirit in which it is done and what is appropriate.” (Skilbeck 2017). Jerome Bruner observed play both in baboons and people living as hunter-gathers in Africa and subsequently assigns play to the first of three stages, the ‘enactive stage’ when children are to actively play with objects in order to ‘develop understanding’ (Smidt, 2011). However, this stage is restricted to very young children. Bruner’s tools are both physical and cognitive and reflect Lev Vygotsky’s ‘cultural tools’ for constructivism. Piaget also sees objects (tools) as a core part of play, however, he sees these as being used literally and then over time becoming more abstract for experiential learning (Slade & Wolf, 1994). For Vygotsky, play was of utmost importance in the very young child and tools were intrinsic to the development through play. As the child ages, play becomes less important and “permeates the attitude to reality” and crucially clear rules are required otherwise the child becomes bored with the game (Vygotsky, 1967). Therefore Vygotsky sees challenge as a core motivational element, however, as Piaget states these are determined and restrained by the child, not the teacher. 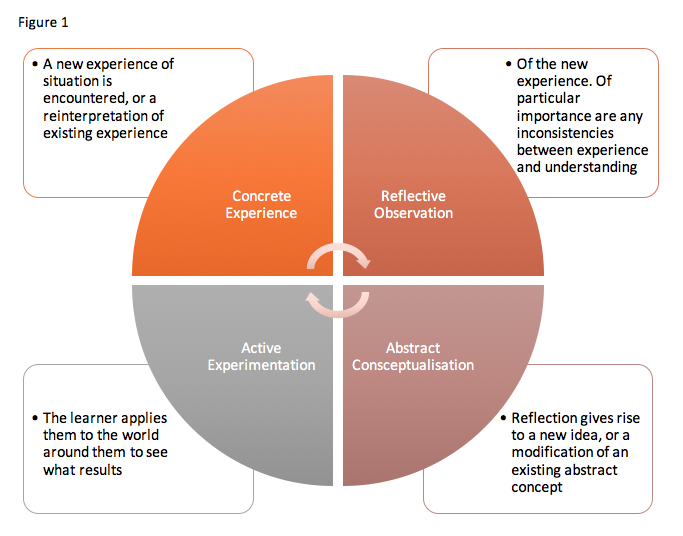 Kolb graphically depicted his experiential learning theory as a learning cycle with four stages: concrete experience, reflective observation, abstract conceptualisation and active experimentation (Kolb, 1984), see figure 1. 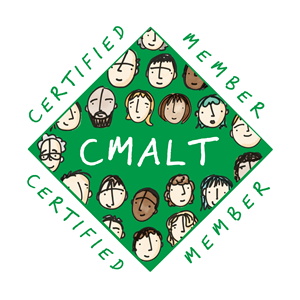 Whilst these theorists all hold active, constructed learning as the central tenet of the child’s development and meaning-making, Piaget focuses on the child as an individual learner (Smidt, 2011). Vygotsky on the other hand puts social learning and identity formation at the core and this is built upon in the work of Jean Lave and Etienne Wenger with their Communities of Practice (Lave & Wenger, 1991; Wenger, 1998). Act II: Play for children! Play for adults? All the theory cited so far specifically relates to children with little attention regarding play and learning being afforded to adults. Whilst our primary school classrooms have been transformed from those witnessed by Dewey at the beginning of the twentieth century, modern primary schools overflow with the tools for play, from toys, coloured pens, paper through to computers and tablets. Play is accepted as integral to the early years of a primary education and the teacher integrates play formally within the curriculum. However, as we progress from the latter years of primary into secondary level settings children are still expected to play but the process is becoming more formalised with exploration focused around ‘experiments’ and games relegated to sports and video games, both of which designated as extracurricular. Moving further into higher education neither the student or teacher have any expectation of play being incorporated into the curriculum to the point that play, albeit specifically speaking about video games, is perceived as frivolous or a “waste of time” (Gee, 2007). Any reference to play that is acknowledged within higher education is that of ‘role play’ which is seen as an important element in the transition from learner to expert, such as doctor, teacher, nurse, or lawyer. In these learning scenarios, the learner is expected to take on the role of ‘x’ in order to become ‘x’. This successful transition, the sense of becoming is referred to as ‘ways of thinking and practicing in the discipline‘ by McCune and Hounsell (2005). An example of this is an assessment format within medical education called the Objective Structured Clinical Examination (OSCE). The student performs a prescribed consultation task with a simulated patient (actor) under observation from an examiner. Is this authentic however? Proponents of play advocate that its use is best suited to formative settings and the criticism of OSCEs are around their summative use, in that there is a danger that the students act in a particular manner to pass the assessment (Gormley et al, 2016). The concern is that these identities are internalised and carried into their professional selves, competency prioritised over empathetic communication. The medical students work through their internal list of questions in a set order, that they have previously learned for that particular consultation. Therefore, they are not following through on Kolb’s experiential cycle with concrete experience being reflected on, modification and active experimentation. A further example, is the moot court in which law students can simulate cases and role play presenting arguments for and against. In the Wikipedia entry for this it is to be noted that the definition states that it is an ‘extracurricular activity’ denoting its place outside of the formal curriculum (En.wikipedia.org, 2017). Seymour Papert followed on from the constructivist theorists by utilising computer programming afforded learners to construct actual objects in order to literally build their knowledge. He embraced technology and researched how it could be effectively integrated into the classroom to make learning of mathematics more accessible. He was also the first LEGO Professor of Learning Research at the MIT Media Lab. Speaking of how children coded in his computer program MicroWorlds, using the programming language Logo; “in teaching the computer how to think, children embark on an exploration about how they themselves think.” (Papert, 1980). Thus, this creativity and construction, resulting in the term constructionism, freed children from the passivity of knowledge transfer. Sadly, in some respects Papert’s proposals are still futuristic and years later he reflected that institutions were determined to ‘nip this subversion in the bud’ (Papert, 1993). Currently, we can relate this to the controversies concerned with integrating coding lessons into the school curriculum in the United Kingdom. Gamification is a recently coined term and serves to describe a process wider than simply using a game, whereby applications or tasks that employ the elements of games are used to balance intrinsic and extrinsic motivation (Muntean, 2011). The key elements of gamification that are purported to correlate for effective learning are clear and defined goals, monitored progress, affordance for repetition and practice to transition from novice to expert and can be adapted to match the level of the learner (Morris et al., 2013). A panel considering ‘Education’s Digital Future’ at Standford University in 2013 discussed the benefits of games with Constance Steinkuehler stating that “games are hard” as opposed to dumbing down learning (MacKay, 2013). She also acknowledged the benefits of Gee’s “collective intelligence” with regards successful engagement. Another panel member, Malcolm Bauer, offered that rewards can be more than simple achieving, that variation is in itself a reward. However, it is Dan Schwartz’s words that focuses in on the crux of games for learning: “knowledge is not the outcome we want; we want students to learn how to make choices.”. At the end of the panel discussion a student asked a question about access to games and Gee, a panelist, replied that providing access alone was not enough to deal with inequality. It is a wider issue in that new digital literacies need to be developed in order to fully access the benefits of games. These benefits as discussed are both highlighted and counter-balanced further by Donald Clark. He advocates that with good design, following sound pedagogy, “it has the power to increase the effectiveness of the learning”. Yet he lists ten possible problems with gamification, including wider inequality, not just of access, for female, older and conservative audiences who may feel that the games approach is condescending and exclusionary (Clark, 2015). Further advances in technological abilities allow the employment of methods which can be connected to play including simulation, which at its essence concerns role play (Alexander & Boud, 2001). A simulation can be low fidelity such as a paper based book right through to high fidelity computer programs. Simulations are representative of Papert’s MicroWorlds and offer the learner benefits of creativity, experiential learning, social construction and identity formation through role play (Crook, 1996; Alexander & Boud, 2001; Kayes, Kayes & Kolb, 2005; Gee, 2007). However, here again especially with regards to high level simulations such as Second Life and Minecraft accessibility is a concern, together with wider equity issues. Traversing the area between gamed based learning and simulations is game-informed learning where the concepts of game based learning can be brought to bear in learning activities, but not necessarily as a game (Begg, Dewhurst & Macleod, 2005). This may be applied in analogue format, digital or even a blend of the two. This has the benefit of better levels of access and more applicable to a wider range of learners. Digital technology can be transformative but perhaps by turning back to analogue technologies we can achieve a better blend of the theories discussed, such as social, construction and experiential learning. LEGO® Serious Play (LSP) began in the mid 1990s with uptake from the corporate sector. However, it is into 2010s before examples in Higher Education can be seen (James, 2013; Nerantzi & Despard, 2014). The format effectively pulls in elements of all the theory discussed thus far, constructivism, constructionism, social learning and experiential. They offer many benefits such as: use of metaphors, a level playing field due to no skills being required, non-threatening environment, social, the ‘build’ itself has no direct importance – it is simply the vehicle with which reflection is created (ie it does not matter WHAT is built), tactile, creative and therapeutic, flexibility (ie can be used for networking, problem solving, development of skills/ideas, therapy). Despite all of this evidence the overwhelming pedagogy within higher education remains that of didactic lectures. This didactic learning, whereby the onus is on the learner to absorb the knowledge being transferred from the teacher remains the predominant teaching method. The barriers to active learning and learning through play could be attributed to the cultural belief of the ‘sage on the stage’, interestingly evoking an entirely different allusion of ‘play’, yet with no substantial evidence to support its effectiveness. An additional barrier could also be due to the ever-increasing number of higher education students and corresponding decrease of teachers. LSP workshops require multiple facilitators, around two hours and an upper limit of approximately forty participants to be effective. Therefore, these barriers together with a culture of continuous testing for assessment purposes, will continue to be an impediment to creating space for creativity. “Some students had negative preconceptions about using LEGO® in the context of higher education, which initially hindered them from fully engaging in this activity and seeing value in it”. The definition and interpretation of the word ‘play’ is wide and diverse, however, this reflection focused on the more general theme of ‘playfulness’ with regards to learning. Our society acknowledges the benefits of play for learning yet there are many barriers and constraints to its implementation within the formal curriculum. Interestingly, ‘Democracy and Education Reconsidered, Dewey After One Hundred Years’ contains no clear reference to the chapter on play (Garrison, Neubert & Reich, 2016). The authors do not list ‘play’ or ‘seriousness’ in the index or allude to either in the chapter list, however, they do discuss Dewey’s use of ‘construction’ as he relates it to both materials and ideas. Yet this discussion around construction makes no reference to play only to the necessity of applying it with criticism. It is also important to acknowledge that play is not just something that can be thrown into the curriculum and is not something to be implemented lightly. Indeed, “Play is a serious business. Encouraging play and playfulness will help students not only get more enjoyment from their learning but also more progress.” (Griffith & Burns, 2012). The majority of the theories and examples provided by pedagogues and philosophers put children at the centre with regards to play and construction, references to adult learning are limited. It is clear that there are many benefits to be gained from taking a greater playful stance with all formal curricula yet its use much be considered with sensitivity and care, whether facilitated by computer, LEGO or sticky notes. More research is needed to explore these benefits of play and creativity, especially within higher education, to encourage the movement away from knowledge transfer and preparing students for real world requirements within their professional lives. If nothing else revisiting play for learning and teaching moves our focus from knowledge transfer and encourages learning for a holistic person fully prepared to deal with the problems of their future professional selves. The need to refocus our lenses to encapsulate a greater holistic approach to pedagogy can be best summed up by Freire who posited that “to teach how to read words is only meaningful if it also involves teaching about how to read the world” (Gastaldo & Figueiredo-Cowen, 1995). This was an assignment for the module Understanding Learners in an Online Environment at the University of Edinburgh and was submitted on 16th April 2017. This is the original version and therefore does not incorporate any changes based on suggestions by peers or tutors post submission. I really enjoyed writing this one and would love to revisit these nascent thoughts some time soon. Clark, D. (2015). Does gamification play Pavlov with learners? 10 DOs & 10 DON’Ts. [Blog] Plan B. Available at: http://donaldclarkplanb.blogspot.co.uk/2015/04/does-gamification-play-pavlov-with.html [Accessed 15 Apr. 2017]. Crook, C. (1996). Computers and the collaborative experience of learning. 1st ed. London: Routledge. En.wikipedia.org. (2017). Moot court. [online] Available at: https://en.wikipedia.org/wiki/Moot_court [Accessed 15 Apr. 2017]. Ferreira, G., da Silva Rosado, L. and de Sá Carvalho, J. (2017). Education and Technology critical approaches. 1st ed. [ebook] Rio de Janeiro: UNIVERSIDADE ESTÁCIO DE SÁ. Available at: https://ticpe.files.wordpress.com/2017/04/ebook-ticpe-2017.pdf [Accessed 16 Apr. 2017]. Garrison, J., Neubert, S. and Reich, K. (2016). Democracy and education reconsidered. 1st ed. New York: Routledge. Gastaldo, D. and Figueiredo-Cowen, M. (1995). Paulo Freire at the Institute. 1st ed. London: Institute of Education. Gee, J. (2007). What video games have to teach us about learning and literacy. 1st ed. New York: Palgrave Macmillan. James, A. (2013). Lego Serious Play: a three-dimensional approach to learning development. Journal of Learning Development in Higher Education (6). Kayes, A., Kayes, D. and Kolb, D. (2005). Experiential learning in teams. Simulation & Gaming, 36(3), pp.330-354. Kiely, B. (2013). Seamus at Adams House. The Gold Coaster, [online] (Vol. 4 No1). Available at: http://www.goldcoaster.fdrsuite.org/GOLDCOASTER%2011-13/seamus%20at%20Adams.html [Accessed 14 Apr. 2017]. Lave, J. and E. Wenger (1991). Situated learning: legitimate peripheral participation. Cambridge England; New York, Cambridge University Press. MacKay, R. (2013). Playing to learn: Panelists at Stanford discussion say using games as an educational tool provides opportunities for deeper learning. [Blog] Stanford News. Available at: http://news.stanford.edu/2013/03/01/games-education-tool-030113/ [Accessed 15 Apr. 2017]. McCune, V. and D. Hounsell (2005) The development of students’ ways of thinking and practising in three final-year biology courses. Higher Education 49(3): 255-289. Morris, B., Croker, S., Zimmerman, C., Gill, D. and Romig, C. (2013). Gaming science: the “Gamification” of scientific thinking. Frontiers in Psychology, 4. Muntean, C. (2011). Raising engagement in e-learning through gamification. In: The 6th International Conference on Virtual Learning ICVL. [online] Available at: http://icvl.eu/2011/disc/icvl/documente/pdf/met/ICVL_ModelsAndMethodologies_paper42.pdf [Accessed 15 Apr. 2017]. Nerantzi, C. and Despard, C. (2014). Do LEGO® Models Aid Reflection in Learning and Teaching Practice?. Journal of Perspectives in Applied Academic Practice, 2(2). Papert, S. (1980). Mindstorms: children, computers, and powerful ideas. 1st ed. New York: Basicbooks. Slade, A. and Wolf, D. P. (1994). Children at Play. Oxford: Oxford University Press. Smidt, S. (2011). Introducing Bruner. 1st ed. Hoboken: Taylor and Francis. Wenger, E. (1998). Communities of practice: learning, meaning, and identity. Cambridge, U.K.; New York, N.Y., Cambridge University Press.